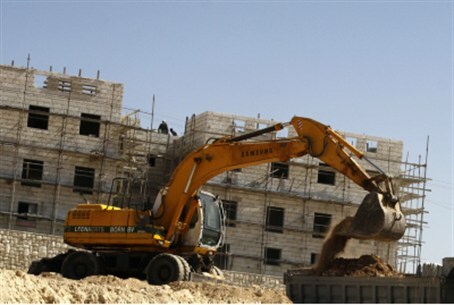 Israel’s agreement to allow new construction in Israeli communities in Judea and Samaria is essentially a declaration of war, Palestinian Authority lawmaker Mustafa Barghouti said Tuesday, according to the Bethlehem-based Maan. Israel has agreed to allow the construction of thousands of homes in Maaleh Adumim, and the government is reportedly planning to issue hundreds of tenders for homes elsewhere in Judea and Samaria as well. Barghouti reportedly called for a “united national leadership” to fight the “war” he accused Israel of starting. The leadership should base their strategy on “popular resistance,” he said. Many PA leaders use “resistance” as a code word for terrorism. Barghouti is widely considered a moderate. He is the founder of the Palestinian National Initiative, which seeks to provide an alternative to the PLO, and has denounced corruption in both the PLO and PA.
Like other PA leaders, Barghouti insists that Israel cede land east of the 1949 armistice line and allow millions of descendants of Arabs who fled pre-state Israel to “return” to Israel to live.